Hospitals seem to be the definition of organized chaos. However, this isn’t always the case, if you're not careful an emergency situation can spiral out of control. 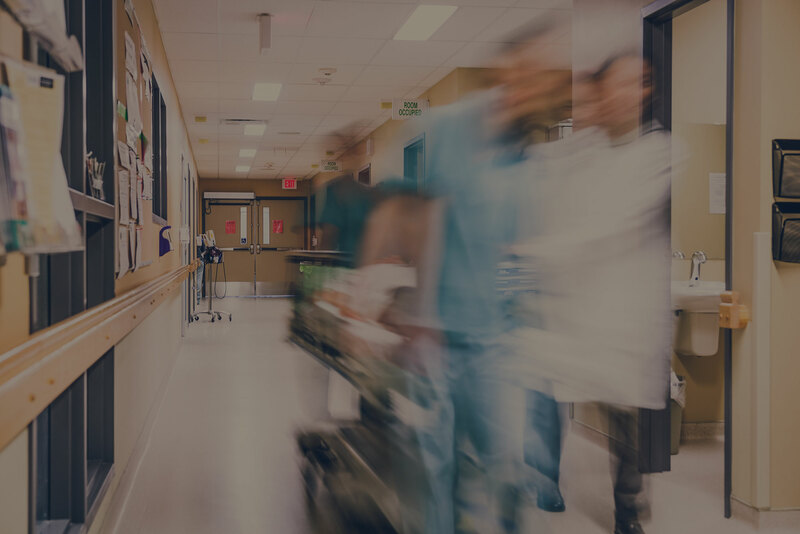 Since this is a central location for emergencies and disasters, there’s always a chance of things getting out of hand, which is why an RTLS solution can help make sure that hospitals remain a safe and efficient operation not only for the staff but for their patients as well. In an environment where the slightest lapse in communication can spell disaster, an RTLS solution offers a lot of benefits especially in an emergency situation. If you find your hospital in an unexpected emergency situation here's 3 ways real-time location services can help you avoid disaster. There are a lot of situations inside of a hospital that could go wrong. Confused or difficult patients can create unexpected problems. In incidents like this, time is always of the essence and a second could mean someone’s life. However, staff equipped with RTLS enabled devices can quickly notify large groups of people including critical response teams of any incident taking place from any location with just a click of a button. Security staff and administrators can then respond immediately and prevent any further damage from happening. RTLS allows you to make your hospital safer by cutting response times considerably, giving you a reliable means of notification in times of emergencies. Suggested Reading: "4 Ways Hospital Wireless Networks Can Leverage RTLS Solutions"
Most hospitals are large, dynamic campuses with multiple buildings occupied by hundreds and hundreds of both staff and patients. In such a complex, spread out environment it's very likely that under traditional methods you wouldn't even know if there was an emergency taking place, and this could make a dangerous situation even more costly. With a real time location services in place you can not only respond quicker but also using context can isolate the situation, thus effectively securing the rest of your hospital from potential danger. For example, an intruder has committed a violent act in your hospital, a staff member in the area see's the emergency taking place and immediately alerts the rest of the staff, key administrative and security personnel and even law enforcement, all from having an RTLS enabled device. Real time location services save time when during an emergency time is everything. By providing relevant and real-time location information administrative and security personnel will have valuable data that they otherwise wouldn't have, allowing them to make smarter decisions. Suggested Reading: "3 Benefits of Wi-Fi RTLS in Health Care"
Before RTLS, this is how hospitals typically handled emergency situations. A staff member identifies a dangerous situation is taking place. He or she has to reach an alarm or phone before calling for help. Before being able to respond to the situation, security personnel would first have to find out where the emergency is happening and then decide whether they need to call the police. By the time law enforcement arrives it might be too late. With an RTLS solution, this whole scenario can be dramatically shortened. The moment a staff member identifies the situation, the hospitals RFID enabled tags can instantly send out communications to rest of their staff. Immediately authorized administrators can verify the situation from a safe location and decide if police help is needed. In this scenario law enforcement could already be on their way by the time hospital administrators can physically call them to brief them on the situation. This type of instant and automated communication could be the difference in a real emergency. Location-tracking is a critical component during any hospital emergency helping to save valuable response time and in most cases time is the difference between life and death. Suggested Reading: "How to Improve the Patient Experience: Utilizing Beacons"
For an RTLS solution to be efficient, you need the right wireless infrastructure to support it. If you have any questions or would like to speak to a mobility specialist about RTLS for your hospital, simply contact us here, we'd love to see how we can help.